Performance Communications comms director Peter Ganney. The Middle Eastern market can be a congested space for the high number of PR shops operating in the region but small communication houses can compete with global heavyweights when it comes to landing new business, according to the communications director of boutique firm Performance Comms. Peter Ganney describes the regional communications market as "highly competitive", but says "the deck isn’t stacked against the ‘little guys". "When it comes to new business pitches, we usually find ourselves in the final stages up against the big global agencies and sometimes we win, sometimes we don’t. It can be a challenge for a smaller agency to get invited to pitch, but if you’ve got the right expertise, you shouldn’t face a problem." Instead, says Ganney, the biggest hurdle for agencies in the region is convincing companies of the value of good PR. "Unfortunately, there are too many marketing managers who still don’t ‘get’ what PR is and only view it as another sales tool. They don’t realise the qualitative as well and quantitative value that PR adds," he says. "But PR remains a vital tool for any business, no matter how established. If brands aren’t investing in PR, they aren’t investing in their reputation and are exposing themselves to considerable risk. You can pick any old saying that relates to PR and building and losing reputations, they still ring true – you need PR to help you build your reputation. Whether you’re a young brand or one that has been in the region for 100 years, like GMC, you still need PR to tell the world who you are and what you stand for." Another challenge, says Ganney, is in getting chief marketing officers and marketing directors to place their trust in PR to lead on content creation, especially on social media platforms. "While you might think, ‘he would say that, wouldn’t he’, I think PR should sit at the pinnacle of the marketer’s toolkit when it comes to creating social media content. For many of our clients, earned-first content has proven to be the most effective in terms of driving sales and affecting the bottom line," Ganney says. "When content is looking to earn eyeballs with a compelling or entertaining story, people connect with that brand and want to be associated with it through experience and, ultimately, ownership." Despite the challenges and "idiosyncrasies" of the region, the Middle Eastern region has many advantages over more established markets, says Ganney, especially access to key players in the game. "It is a small place with most of the region’s headquarters in close proximity, meaning there’s a high density of top decision makers, so catching up over coffee or pitching a new idea is very easy to set up. These types of opportunities aren’t always so easy to get elsewhere in the world," he explains. "Also, the diversity with which one encounters is a real advantage for PR professionals at any level. For the time being, we’re in a highly mobile global economy. For anyone seeking to climb the ladder in an international organisation, while IQ and EQ (emotional intelligence) remain important traits, cultural intelligence is something that accelerates career progression. For individuals, working in the Middle East offers a great opportunity to develop their cultural intelligence." When it comes to creativity, Ganney described the PR industry in the Middle East as being in "rude health". "You just need to look at some of the entries to last year’s Middle East Public Relations Association (MEPRA) awards to see that there is no shortage of effective, game-changing ideas emanating from the region. Ganney began his career by starting out in digital marketing at a London-based start-up, after a few years the Brit moved over to the world of politics and election campaign management as director of operations on Boris Johnson’s re-election campaign as London Mayor. It was, says, Ganney, "a unique experience". "On top of the day-to-day skills I picked up from this, it was a lesson in the importance of teamwork," he says. "It was a real baptism of fire as it exposed me to all areas of PR at breakneck speed. It quickly taught me the importance of media relations, how to carefully craft a message and how to pitch a story. I also got to learn a thing or two about crisis management. At the height of a campaign, you rarely get out of crisis mode. "On such campaigns, you undergo the greatest of stresses and strains while operating on minimal sleep for months on end. Relationships in the team are tested to the limit – if team spirit isn’t there, the whole thing will fall to pieces. Whereas, when you’re fighting for each other, you’ll be able to achieve more than you can imagine. This is why, for me, strong team cohesion is so important." 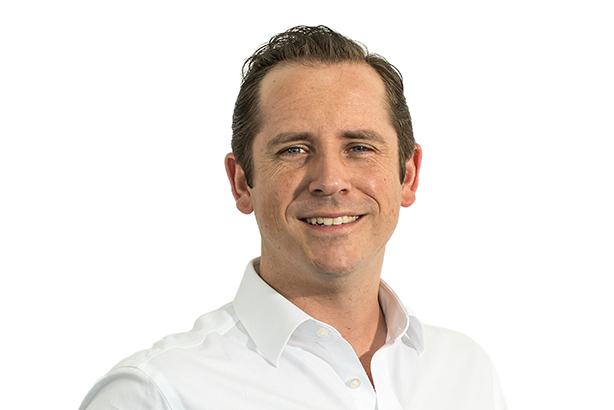 After moving to the UAE in 2012 for a short stint at Hill+Knowlton Strategies, Ganney joined Performance Comms, a specialist communications agency which has a base in Dubai and London and focuses on sports and automotive. He says one of the challenges - as well as joys - of his current job is that no two days are ever the same. "Being at a boutique agency, you need to be involved in all aspects of the business. On any given day I could be working on contract negotiations, attending client events, drumming up new business, dealing with HR issues, interviewing candidates or having a brainstorm with a client. "There aren’t many agencies specialising in these sectors so this really sets us apart from the rest. Most other agencies that have automotive or sports clients will also have FMCG, financial, healthcare, fashion and all manner of companies on their roster but our focused expertise gives us a real edge. "We’re very fortunate to work with some fantastic brands. Bentley Motors has been our longest standing client, working with their regional and global teams now for nine years and three years respectively. On top of that, we have the American giants, Cadillac and GMC, on our roster along with ADNOC Abu Dhabi Marathon, Lamborghini, Continental, Breitling and SAIC Motor – another Fortune 500 company." Performance Comms is currently marking its tenth year of business in the region. "Looking back over that decade we’ve got a lot to celebrate," says Ganney. "I’m so proud of what the team has achieved over the last few years and it’s a terrific platform on which to build."